Scott Eyman is a three-time New York Times bestselling author and is best known for his biographies of Hollywood legends. 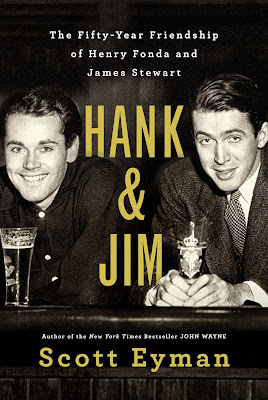 His latest book, Hank & Jim, about Henry Fonda and James Stewart, follows on the heels of his highly successful biography of John Wayne. Stay Thirsty Magazine was privileged to visit with him at his home in South Florida for this Conversation. STAY THIRSTY: Your new biography, Hank & Jim, follows the success of your bestselling biography of John Wayne (John Wayne: The Life and Legend). What attracted you to Henry Fonda and Jimmy Stewart to want to spend so much time researching their lives and their relationship? SCOTT EYMAN: I simply wanted to write something different, not a soup to nuts biography. I thought a book about the intertwined emotional lives of two famous stars would be a book I hadn’t written before. For that matter, it’s a book I haven’t read before. STAY THIRSTY: You dedicated Hank & Jim to John Sacret Young and to Robert Osborne. Why did you choose these two men? SCOTT EYMAN: John suggested the subject of the book. Bob Osborne made it happen. He called Shirlee Fonda, who hadn’t given an interview in more than 30 years, and she thought it was a great idea. She brought her stepchildren Peter and Jane into the project. But I don’t know that she would have agreed to cooperate without Bob’s vouching for me. STAY THIRSTY: Were Fonda and Stewart products of a Hollywood era seen only in the rearview mirror or were they so original that they would have found a place in today’s movies? SCOTT EYMAN: They were singular talents, and the show business universe bends toward singular talents. Stewart was an actor fond of emotional arias who still contrived to seem basic and un-actorish. Like Cagney, he could play big without being false. Fonda was so tightly compressed he was practically Japanese – he was a more technical version of Gary Cooper. He could communicate with a slight raising of an eyebrow, a glint in the eye. He was incredibly subtle. I say in the book that he was the only American actor who could have worked for Ozu. I think they both would have been stars in any era. STAY THIRSTY: With personalities, political preferences, marriage loyalties so opposite, what was the glue that cemented the nearly lifelong relationship between Fonda and Stewart? SCOTT EYMAN: They were both loners who let very few people in. In their own relationship, hours could go by with very little conversation. Being with each other calmed their mutual anxieties. Peter Fonda liked to be around them even when they weren’t doing anything particularly interesting to an outsider, like building model planes. He realized that they had a rare kind of unspoken communion. And Jane Fonda told me that separately, neither her father nor Stewart was goofy, but when they got together, goofiness could raise its charming head. Also, they saw their craft the same way. Neither of them ever had an acting lesson, and they didn’t particularly care for Method acting, because it tended to privilege the actor over the character. They believed in the old-fashioned craft of acting: learn the lines backwards and forwards. Listen to the other actor. Respect the script. STAY THIRSTY: Of the two men, do you always think of Fonda first and Stewart second? Was Fonda the more magnetic and powerful actor? Or, was Stewart so much like the next-door neighbor that he is somehow diminished as a performer when compared to Fonda? SCOTT EYMAN: I think Stewart had the larger range. He could play an obsessed necrophile in Vertigo, a Budapest clerk in The Shop Around the Corner, a cagey lawyer in Anatomy of a Murder, an intent cowboy in westerns. All completely believable. Fonda was limited by his Plains speech pattern, but he still tried to stay limber and offer surprises – a dim victim of slapstick pratfalls in The Lady Eve, a cold-blooded killer in Once Upon A Time In The West. Mostly, he disliked the movie business. Fonda’s roster of films he would watch was limited: the John Ford movies (The Grapes of Wrath, My Darling Clementine, etc.) The Ox-Bow Incident, Twelve Angry Men. He said that he never even saw a lot of his movies, and much preferred working on stage. I think it was because on film an actor is at the mercy of the director, the editor, the studio. On the stage, once the curtain goes up, the actor is on his own, and that’s the way Fonda liked it. Conversely, Stewart had little interest in stage work once he found his way to Hollywood. STAY THIRSTY: How did the Fonda and Stewart families feel about your book? Were they cooperative in your research or were they reluctant and protective over their legacies? SCOTT EYMAN: Mostly they were completely open, especially Shirlee and Peter Fonda and the Stewart children. STAY THIRSTY: Since both Fonda and Stewart served in the military during World War II, which one was the better, more accomplished soldier? Did their respective military experiences affect their acting or business dealings in later years? SCOTT EYMAN: Stewart was a B-24 pilot and flew 19 bombing missions and was also a superb commander of men. Fonda was in Naval intelligence in the South Pacific. Both were marked by their experiences, Stewart more than Fonda. Peter Fonda felt they had both suffered greatly. There are two kinds of old soldiers: the ones who won’t shut up and the ones who won’t talk about any of it. Stewart was definitely the latter – he never discussed his war experiences with his own children, although his wife told the kids he had bad nightmares and loud noises startled him. Fonda would discuss the war only if pressed and then dismissively. He seemed disappointed in the war because he was an analytical bureaucrat rather than carrying a gun. 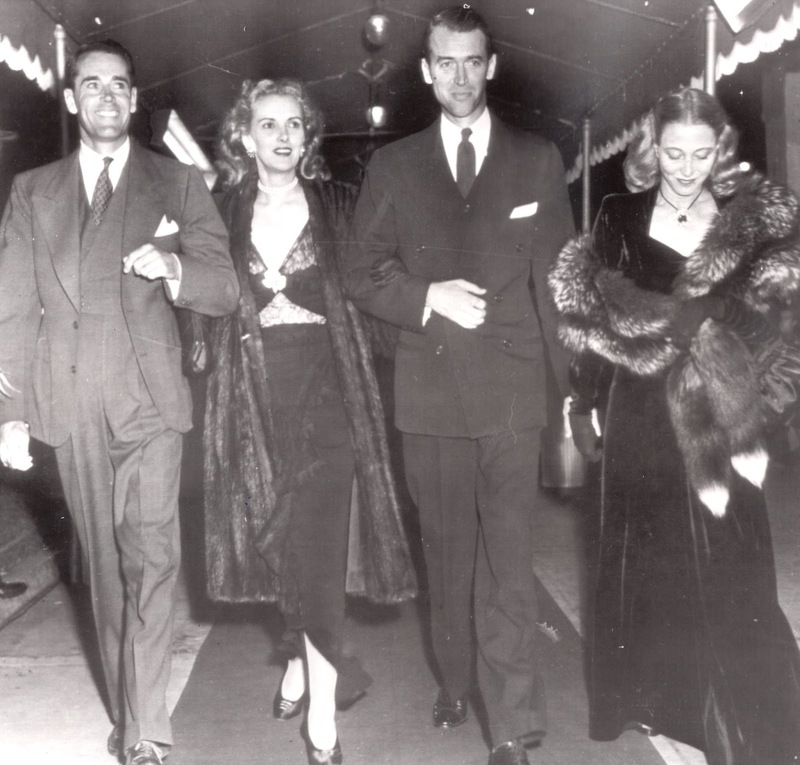 STAY THIRSTY: Why do you think Henry Fonda had so many marriages and Stewart only one? 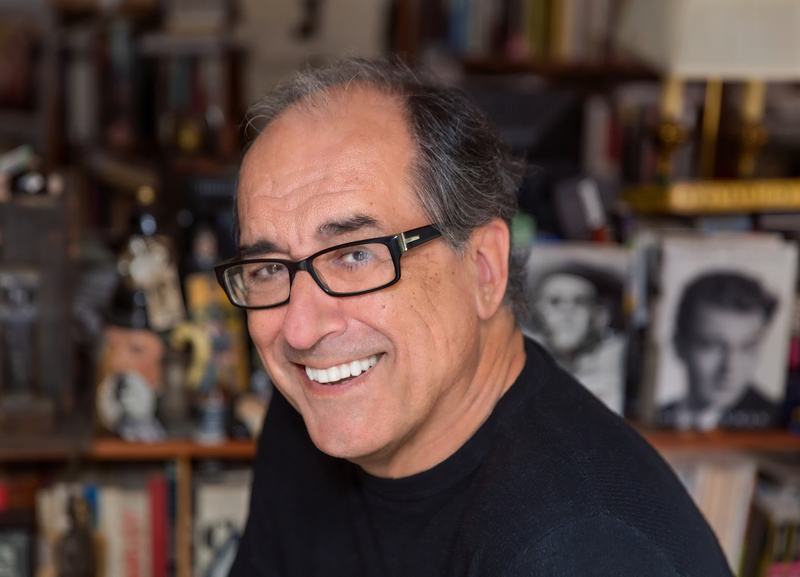 SCOTT EYMAN: Basically, Fonda was a perfectionist, hard on others, harder on himself. People aren’t perfect, so he inevitably felt disappointed in himself and in most other people. But not in Stewart. STAY THIRSTY: The unspoken and unstated played an important role in the relationship of Fonda and Stewart. Why was that true? SCOTT EYMAN: I think they were both very typical of men of their generation. They kept their deepest feelings for themselves, letting them out only when they were acting. The war was the making of Stewart as an actor, because it deepened his reservoir. Other than Mr. Smith Goes to Washington for Capra and The Shop Around the Corner for Lubitsch, the greatest Stewart performances are all after the war. 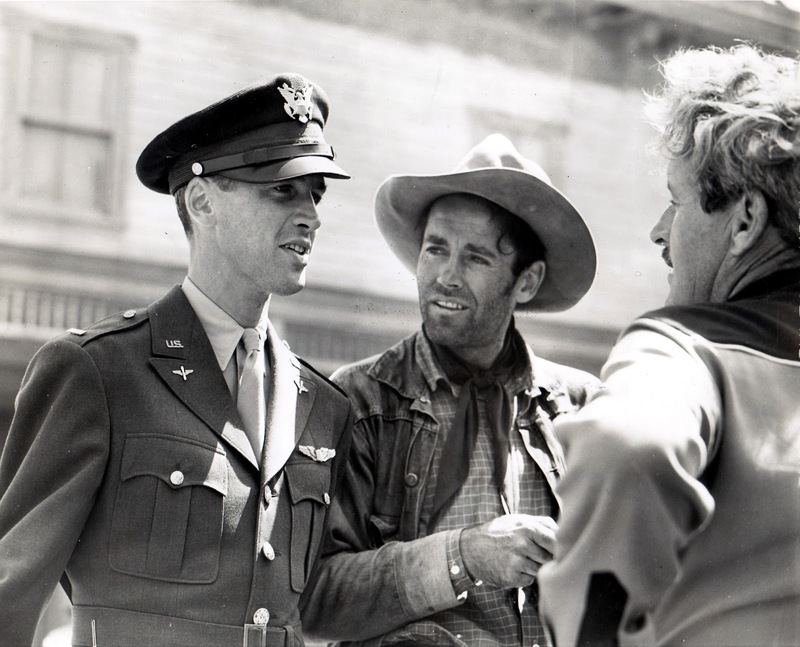 Fonda was more fully formed as a young actor than Stewart – The Grapes of Wrath, his signature performance, was in 1940. STAY THIRSTY: With all that you now know about Henry Fonda and Jimmy Stewart, which one would you want to have dinner with if you could and what would you ask him? What do you think he would ask you? What if you could have dinner with both men? SCOTT EYMAN: I’d like to talk painting with Fonda – he was a very talented artist, somewhat in the style of Andrew Wyeth. And talk to him about John Ford, one of the most endlessly fascinating, gifted, and perverse artists of the 20th century. Neither Fonda or Stewart was particularly articulate about acting. They preferred doing it to talking about it. I feel the same way about writing, which is one of the few similarities between us. And I would have liked to just sit and listen to them fondly banter with each other, bask in the warmth they created when they were together.